Wow. Congratulations! Such exciting news. Please let us know when the book hits the stands, I’d love to buy a copy. Sweet! How inspiring. I’m trying to get a book published right now…it’s tough. SO tough. Way to stick it out! “I wanna write about that: Cambodia, now, in this moment…” Yes. And in writing about the country’s present, you’ll naturally explore its past. I gather you could deftly weave multiple threads in your narrative — and create a relevant, universal, yet personal story with such an approach. I was in Cambodia eight years ago, and the one thing I remember, vividly, were all the fresh dirt roads and sites cleared out for construction. I’m curious to know what it’s like now, so it’s nice to have a connection to it via your blog. 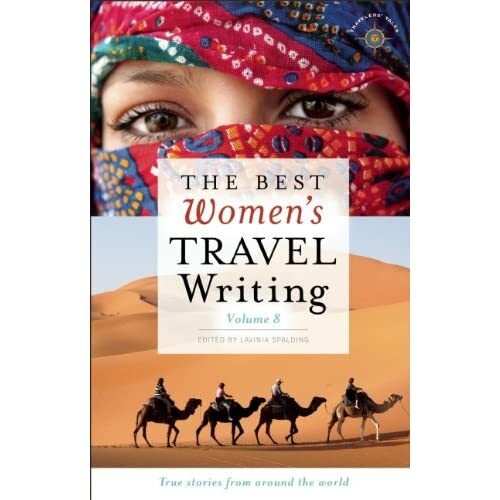 Congrats on being included in Best Women’s Travel Writing, too! Thanks lady! And, you know, if the curiosity ever gets the best of you, you’re welcome to come visit!